For further information on Rustic Natural Strand Woven Bamboo Flooring, click here. Solid Rustic Natural Strand Woven 135mm Uniclic® Bamboo Flooring from Kitchener Flooring Ltd on Vimeo. This entry was posted in Bamboo Floors, videos and tagged rustic flooring, rustic bamboo flooring, strand woven bamboo video, bamboo flooring video on August 2, 2016 by chris elliott. 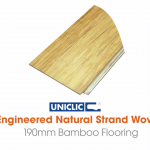 For further information on Engineered Natural Strand Woven Bamboo Flooring, click here. 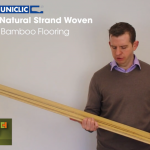 Engineered Natural Strand Woven 190mm Bamboo Flooring from Kitchener Flooring Ltd on Vimeo. This entry was posted in Bamboo Floors, videos and tagged engineered strand woven, natrual strand woven, bamboo flooring video, engineered bamboo flooring on July 25, 2016 by chris elliott. 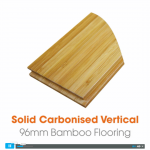 For further information about Solid Carbonised Vertical Bamboo Flooring, click here. 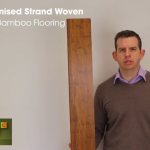 Solid Carbonised Vertical 96mm Bamboo Flooring from Kitchener Flooring Ltd on Vimeo. This entry was posted in Bamboo Floors, videos and tagged carbonised bamboo flooring, Solid bamboo flooring, vertical bamboo on July 5, 2016 by chris elliott. For further information about our Solid Natural Vertical Bamboo Flooring, click here. 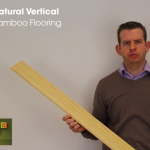 Solid Natural Vertical 96mm Bamboo Flooring from Kitchener Flooring Ltd on Vimeo. This entry was posted in Bamboo Floors, videos and tagged verti, natural bamboo flooring, Solid bamboo flooring, Vertical bamboo flooring on June 27, 2016 by chris elliott. 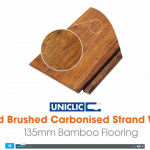 For further information about our Solid Carbonised Horizontal Bamboo Flooring, click here. 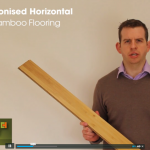 Solid Carbonised Horizontal Bamboo Flooring from Kitchener Flooring Ltd on Vimeo. This entry was posted in videos and tagged solid bamboo, carbonised bamboo flooring, Solid bamboo flooring, horizontal bamboo flooring on June 21, 2016 by chris elliott. Solid Natural Horizontal 96mm Bamboo Flooring from Kitchener Flooring Ltd on Vimeo. This entry was posted in Bamboo Floors, videos and tagged natural bamboo flooring, Solid bamboo flooring, horizontal bamboo flooring on June 13, 2016 by chris elliott. For further information about our Stone Grey Strand Woven Bamboo Flooring, click here. 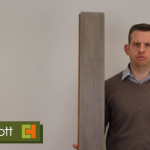 Solid Stone Grey Uniclic® Bamboo Flooring from Kitchener Flooring Ltd on Vimeo. This entry was posted in Bamboo Floors, videos and tagged strand woven bamboo video, strand woven flooring video, bamboo flooring video on June 5, 2016 by chris elliott. To see more about our Solid Brushed Carbonised Strand Woven Bamboo Flooring, click here. Solid Brushed Carbonised Strand Woven Uniclic® Bamboo Flooring from Kitchener Flooring Ltd on Vimeo. This entry was posted in Bamboo Floors, videos and tagged strand woven bamboo video, strand woven flooring video, bamboo flooring video on May 30, 2016 by chris elliott.